A spray of delicate orchids in magenta and white caught my eye at the botanical gardens in Hawaii. Their petals seem to dance and move in the tropical air. I painted a deep blue/green background to set off these tiny dancers. 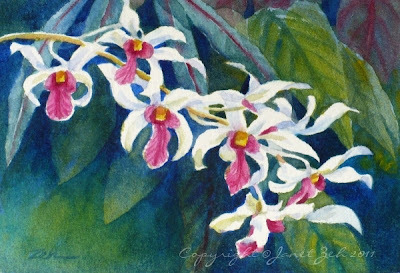 This original painting is for sale here: Orchid Spray watercolor painting.